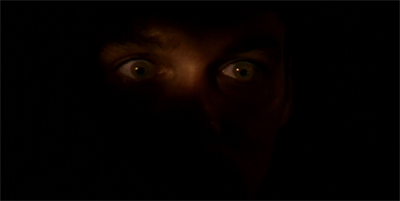 And, with Lazarus, we enter a long mediocre stretch in the second half of the first season of The X-Files. To be fair, none of the episodes in this run are anywhere near as bad as Space, but – with the exception of E.B.E., Tombs and The Erlenmeyer Flask – they all feel a little flat. It’s as if the first half of the season was more experimental, as The X-Files tried to figure out what it wanted to be, with the second half dedicated to settling into its particular groove. Lazarus isn’t terrible. It just feels a little rote, a little paint-by-numbers, a littler average and safe. It’s a conventional enough supernatural (or psychological) thriller, but it lacks that extra “umph” to make it something particularly worthy of a viewer’s time. It’s easy to point out all the exceptional stuff in Beyond the Sea. Gillian Anderson is phenomenal, as we’ve come to suspect from spending half a season with her. David Duchovny is quite happily relegated to a supporting role, willing to allow his co-star room to breathe. 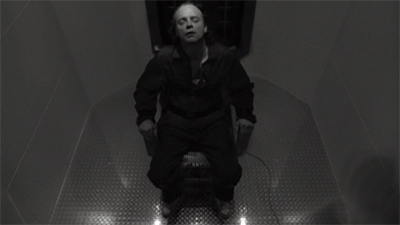 Brad Dourif is sensational. Glenn Morgan and James Wong’s script is phenomenal. David Nutter’s direction is absolutely top-notch. However, what always struck me about Beyond the Sea was just how incredibly confident and casual it was. It was bold and clever and provocative, but it was also tight and controlled. It’s brilliant, but it never feels like this isn’t a level of craft the show can’t consistently hit. Now we’re talking. It’s been a tough couple of episodes, but The X-Files bounces back with a strong contender for the best episode of the first season. Like the last collaboration between Morgan and Wong, Ice is one gigantic homage to a classic horror film. (Well, two classic horror films.) Shadows took its cues from The Entity, while Ice draws heavily from both John Carpenter’s The Thing and Howard Hawk’s The Thing From Another World, both based on the John W. Campbell Jr. novella Who Goes There? However, Ice works a lot better than Shadows. Part of that is down to the fact that Morgan and Wong seem genuinely enthused and engaged with their premise, rather than simply painting by numbers. Part of this is also down to the fact that this sort of horror and paranoia is more firmly in the show’s wheelhouse than the generic “protective avenging ghost” narrative from Shadows. The X-Files is somewhat fascinating as a historical artifact, a prism through which the viewer might explore the United States in that gap of time between the end of the Cold War and the start of the War on Terror. The show serves as something of a travelogue through the American subconscious, a vehicle for the nation’s fear and anxieties. It might be quaint now to look back on the show’s depiction of mobile phones and the internet, but The X-Files offers a snapshot of an America just on the cusp of that technological revolution, when there were still dark shadows and corners of the continent to be probed and explored. One of the more interesting aspects of The X-Files is the way that it deals with faith in the nineties. Scully’s attempts to reconcile her religious beliefs with a rational approach to the universe are surprisingly insightful and nuanced, but Mulder’s belief system also offers a vehicle to explore the form that faith might take. “I want to believe,” Mulder confesses at the end of Conduit, with the iconic poster turning the sentiment into a motto. It doesn’t matter that Mulder chooses to invest his faith in aliens or conspiracies, The X-Files is still an exploration of what faith meant in the nineties. 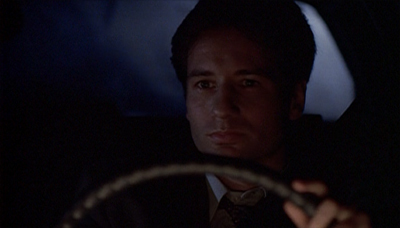 Why is Mulder so driven? Squeeze is the first “monster of the week” episode of The X-Files, and also the first episode that wasn’t written by creator Chris Carter. Instead, Squeeze came from the word processors of James Wong and Glen Morgan. Wong and Morgan would become a hugely influential (if not always successful) writing duo during the nineties. They’d write some of the best scripts for The X-Files, but they’d also leave (briefly) to run their own short-lived science-fiction drama in Space: Above & Beyond. After Fox cancelled that show, the pair would briefly return to The X-Files before taking over Chris Carter’s other Fox drama Millennium, for that show’s second season. I’d argue that Wong and Morgan’s Millennium was one of the most inventive and insane seasons of television produced by any network in the nineties, and it’s a shame that Carter would have to re-assume the reins for the show’s third and final season. After that, the pair found considerable success creating the Final Destination film series. However, all of that was in the future, but you can clearly see their creative talent at work here. 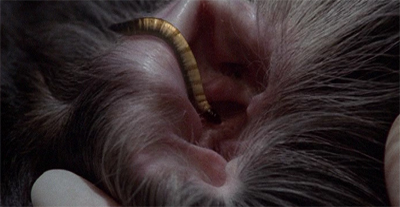 Squeeze isn’t just the first episode of The X-Files unrelated to the show’s alien mythology, it is also one of the most memorable episodes ever written, creating a monster so iconic that he would wind up bookending the first season when he returned in Tooms. Runner Runner feels like it should be a lot more fun than it winds up being. For a film about gambling, it lays the cards on the table pretty quickly. It’s a story about an ambitious young man who is offered wealth and success, only to eventually discover that the price is nothing less than his soul. As such, our plucky young hero has to keep all the plates spinning as the walls close in around him, trying to keep his head above water and the wolves from his door. There are, of course, other clichés I can throw in there, but these will do for now. As such, Runner Runner isn’t about originality or insight, borrowing heavily from far better character studies and morality plays – even the casting of Justin Timberlake as a nerdy internet-savvy college student feels like a riff on his role in The Social Network. Runner Runner is all about the execution of these familiar high concepts and plot points. Unfortunately, the movie never seems too invested in its stakes, or too engaged with the game it is playing. When the chips are down, Runner Runner can nothing but fold. I feel a little bad now. 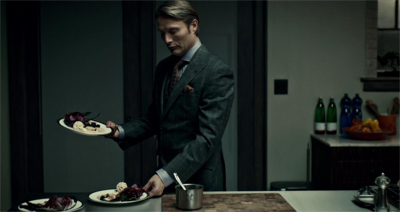 I spent a lot of time in Amuse-Boche and Ceuf complaining about the possibility that Hannibal might turn into a serial-killer-of-the-week procedural, at a time when the networks are over-saturated with that sort of forensic drama. However, Coquilles manages to be a pretty superlative hour of television despite feeling like a pretty conventional “catch the serial killer” story. The key is in the execution, with Coquilles serving as a rich character-driven drama that just happens to involve the hunt for a gruesome serial killer. It also helps that the “angel maker” feels like a refugee from an early draft of a Thomas Harris novel rather than a bland psychopath of the week.